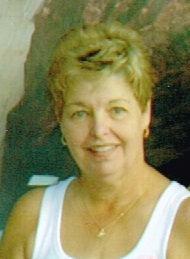 Obituary for Constance R. (Guy) Beauregard | Brown Funeral Homes, Inc.
Constance R. Beauregard, 73, of North Smithfield, RI passed away on March 6, 2019, at her residence, surrounded by her loving family. She was the loving wife of 53 years to Donald "Brad" Beauregard. She was born in Woonsocket daughter of the late Leandre & Alice (Duguay) Guy. Connie worked for the Esten & Richards Insurance Co., for 22 years from where she retired and previously she worked for the Gordon Munroe Insurance. She lived most of her life in North Smithfield. She enjoyed playing cards and doing jumbo puzzles. Besides her husband Brad, she is survived by her daughters Kim Masse and her husband Alan, Debra Lamoureux and her husband Ken and Cathy Beauregard. Grandchildren include Ben, Stephany, Caroline and Claudia, great grandchildren, Camille and Averee and a brother Raymond Guy. She was preceded in death by her siblings Jean Guy and Madeleine Brien. Funeral services and burial will be held privately. Arrangements are entrusted to the Keene-Brown Funeral Home 445 Greenville Rd., North Smithfield.